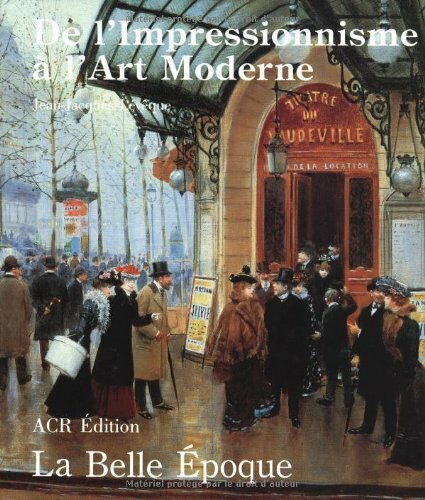 This book will satisfy all who are curios about the Belle Epoque. It narrates the growth of impressionist painting, its internationalisation, and the concurrent emergence of new movements: Pointillism, Fauvism, Cubism and Abstraction. Les Annees de la Belle Epoque presents the significant works of Cezanne, Monet and Seurat, alongside those of Chagall, Vuillard, Picasso and Kandinsky. It builds upon these contrasts, while also linking the Art-world s influences on the literary scene. This book draws up a panoramic view of the"fin de siecle" spirit and of the birth of modernity between 1891 and 1914.